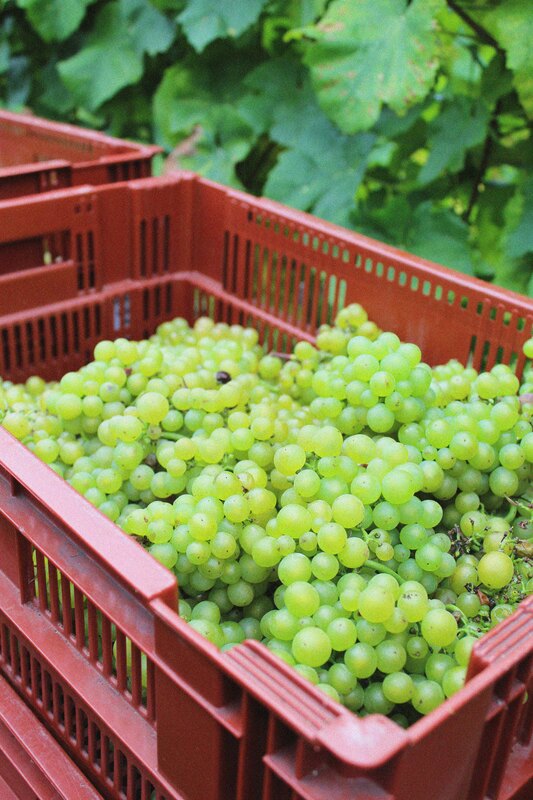 Whilst the harvesting of arable crops, fruit and vegetables are winding down, September is when we start to look out for the tell-tale signs that the grape harvest is ready to begin. 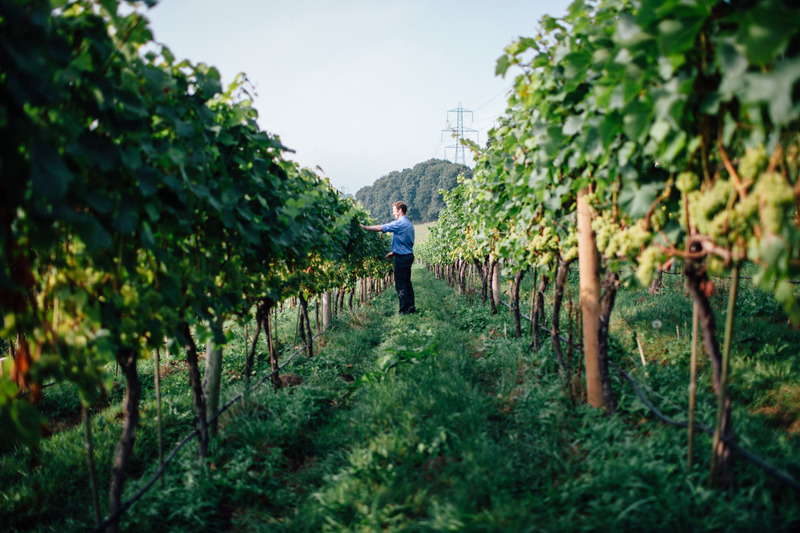 Carefully nurturing the vines through each growth stage is vital for a successful crop come autumn, and pruning and managing the growth and direction of the vines is all part of that process. Once the harvest is over, the vines will continue to photosynthesize creating enough carbon dioxide to store in the roots and trunk. the chlorophyll in the leaves will break down and turn into lovely yellow/autumnal colours. Heading into winter, the leaves will drop, pruning will be complete and the vines will enter dormancy. Pruning must then be completed before the sap starts to rise in the springtime, leaving only one or two of the one-year-old canes left on the truck, which will provide the frame for next years fruit and vegetative growth. Early next spring, we will start the whole process again, gradually readying the vines and the subsequent grapes ahead of the harvest. At the end of September, we will be celebrating British Food Fortnight – encouraging all of us to choose British food and drink. By purchasing British products and more specifically, local produce, you are directly contributing to your local economy. Without the support of the local community, many small producers would simply not be able to continue. Buying closer to home reduces your mileage and as a result, your impact on the environment. Delicious food and drink on your doorstep with the added feel-good factor of taking care of the world we live in – yes please! Let’s be honest, we all like to know where our food comes from. 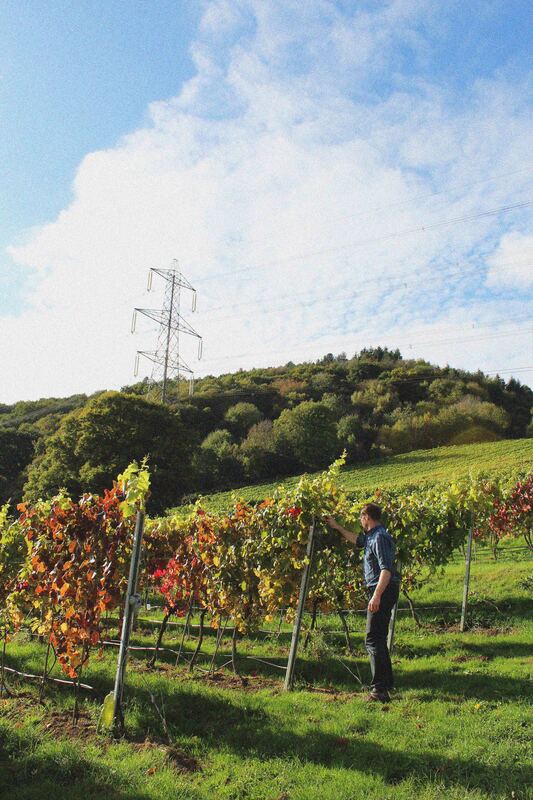 Buying British can almost guarantee you’ll know exactly where your meat was reared or in our case, where the grapes in your wine were grown. Any foodie will tell you that the first crop of English asparagus is worth the wait, and nothing tastes of summer like the first British strawberries… So why look elsewhere when buying British tastes so good? Eating the seasons can be one of best ways to plan your diet; when in season, fruit and veg are at their best and contain the most nutrients. This month is all about blackberries, butternut squash and kale so make sure you stock up! The blueberry season has begun at our sister company, Wye Valley Produce, and we are reaping the rewards here at Castle Brook. Grown in the rich Herefordshire soil at our family farm, just a few fields over from our vines, we believe these blueberries pair perfectly with our Classic Cuvée. For the less active cooks amongst us, a handful fresh from the punnet is good enough but we think the best way to serve them is piled high on a creamy panna cotta. The perfect pud for an English summer’s eve. Take a look at the recipe below and let us know what you think! And don’t forget to add our award winning Classic Cuvée to your shopping list – available here. Father’s Day is just around the corner and that means last minute gift ideas to show your love and appreciation for your father are due. What could be better than a bottle of the Castle Brook Classic Curvée – the perfect gift for any wine-lover this Father’s Day. 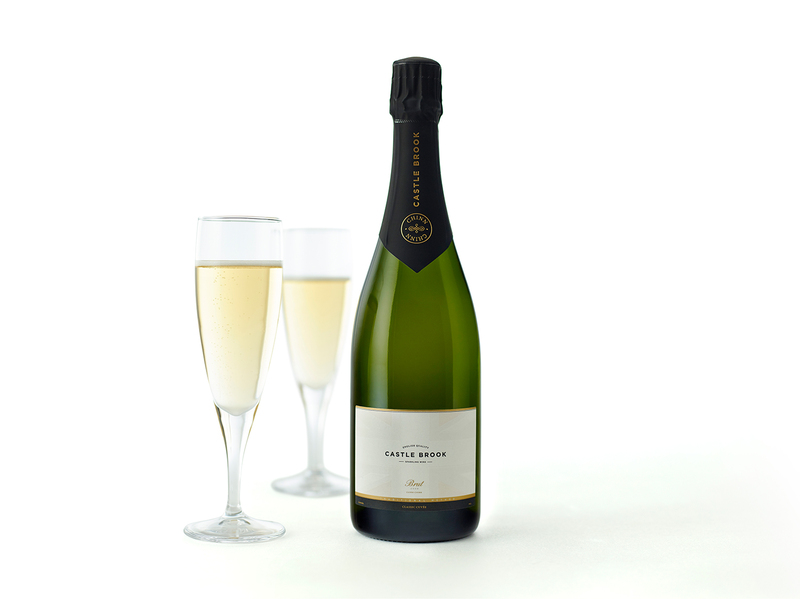 Our Classic Cuvée is made using champagne variety grapes from our Herefordshire vineyard, blended together to give a unique taste like no other. We even have the recipe for a delicious summery dish to compliment the wine so you can treat your dad to a homemade meal. 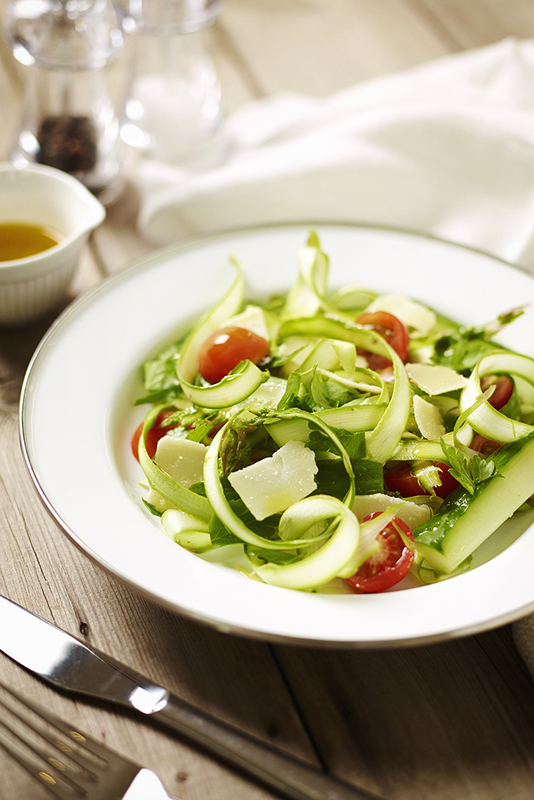 Keep it fresh and seasonal with the recipe below – perfect with grilled free range chicken or as a side salad. Slice off the woody ends of the asparagus. Use a vegetable peeler and starting from the bottom, peel upwards to create thin ribbons. Place the dressing ingredients in a jar and beat with a fork. While you ought to treat your mum special everyday, Mother’s Day is the one-day of the year to go above and beyond to show just how infinite your love is for her. We’ve got a little idea of how you can show your Mum just how special she is to you. Get that spring feeling going & arrange a cocktail night with Castle Brook – for you, your mum and the rest of your family! 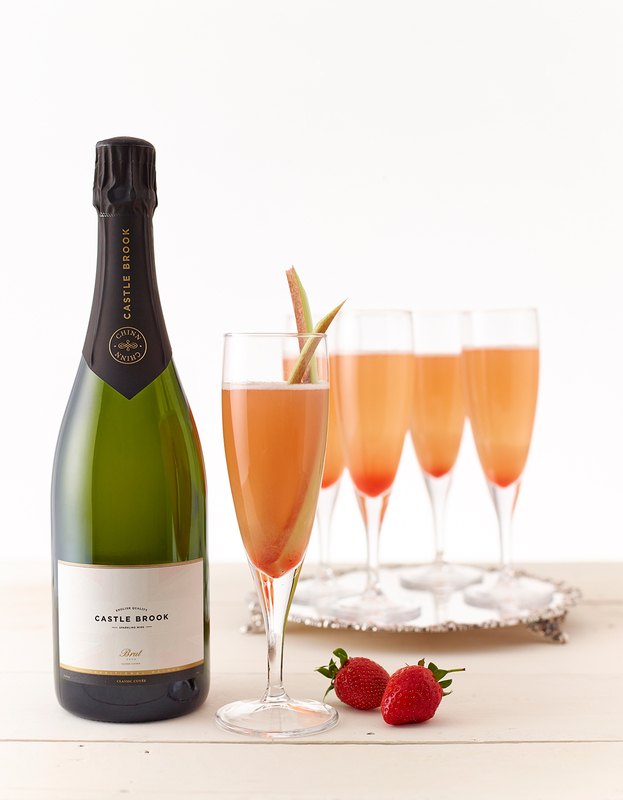 Our favourite cocktail is a Rhubarb Fizz – one your Mum is bound to love too! Add all of the syrup ingredients to a medium saucepan. Bring to a boil over medium heat, and let cook for 3 minutes, or until rhubarb is tender. Strain, so that there is no pulp in the drink. Pour into a container and store for 1 week in the fridge. Put the gin, rhubarb syrup, lemon juice and ice into a pitcher. Stir to combine, then pour into glasses filled with ice, top with Castle Brook and your garnish! Our idea is thoughtful and fun, but the mere act of gratefulness will easily show your mum just how much you love and appreciate her – plus there’s nothing like a bit of family bonding over a few cocktails! We want to help you spoil your Mum this Mother’s Day, so head over to our Facebook page & enter our giveaway to WIN a bottle of Castle Brook! Between pricey fixed menus and ridiculously long waiting times, dining out on Valentine’s Day is never what it’s cracked up to be. Instead, kick back with your date and raise a toast to Cupid in the comfort of your own home. Rather than buying your partner a cliche gift, pull out all the stops in the kitchen and show them how much you really care with a candlelit dinner for two. Treat your partner to a quality meal with the very best ingredients from Wye Valley Produce, you’ll be supporting local too! 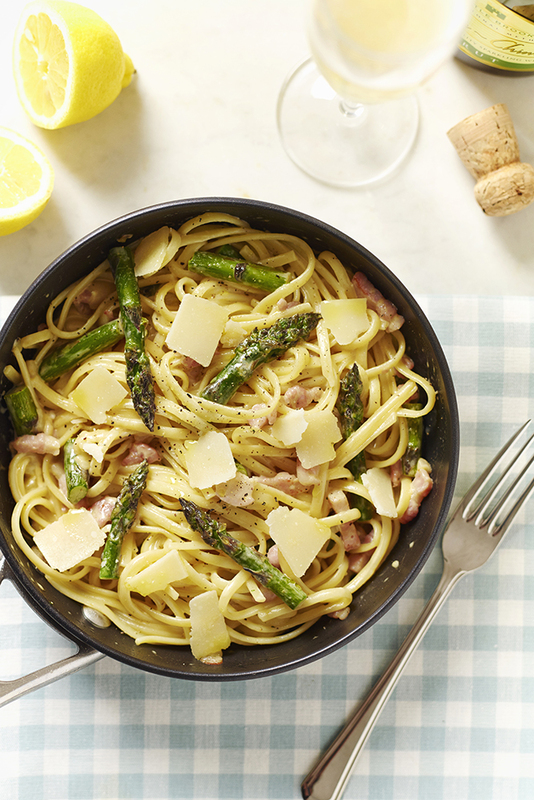 Reenact that classic and romantic Lady and the Tramp scene with our Asparagus and Pancetta Linguine, or if your loved one is a big meat eater, you may want to opt for the Pan-fried Duck Breast instead! No fear, we’ve got dessert covered too… keeping within the theme, you could try our Rhubarb Lattice pie, or choose our super speedy Blueberry and Buttermilk Panna Cottas instead – trust us, they’re to die for! Most importantly, there are many tipples that you can choose to drink on Valentine’s Day, but if you’re looking to keep the spark lit, then make sure you choose Castle Brook – when it comes to romantic reliability, this is second to none! 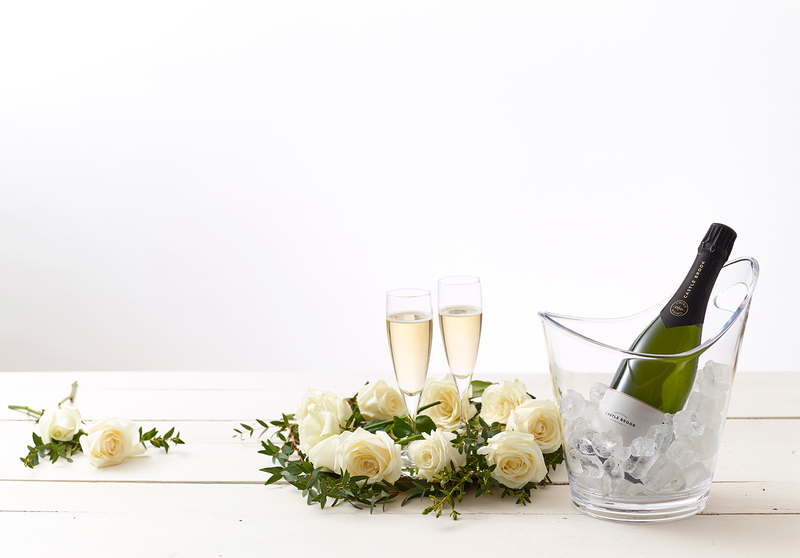 Deliciously delicate, crisp palate with a hint of lemon blossom… we may be a little biased, but we think our Classic Cuvee has Valentine’s Day written all over it! We’re confident that our Castle Brook could make all the difference to your plans, so we’re giving away a bottle over on our Facebook page. Visit our page here, find the giveaway post pinned to the top of our page & let us know your perfect Valentine’s date, to be in with the chance of winning! Good luck & have a lovely Valentine’s! New Year and New Ways to Enjoy Castle Brook! Welcome back…we hope you all had a lovely Christmas and a fabulous New Year! If you’re hosting a dinner party and looking to give your guests a fruity kick on their arrival, then pay the perfect complement to our sparkling wine, by adding a drop of British Cassis to each flute – everybody loves a classic Kir Royale! When drinks have been served, next up is the appetizer! 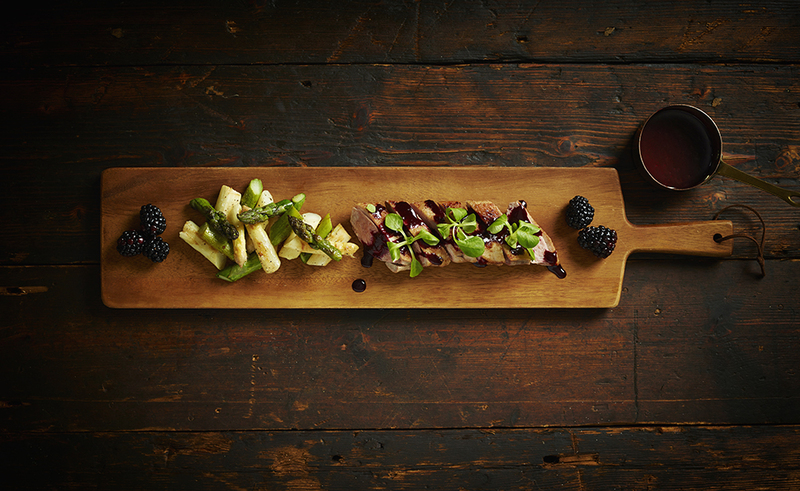 Here’s our favourite for you to enjoy with your glass of fruity fizz – Pan-fried duck breast with mixed white and green asparagus and blackberry sauce. 1. For the blackberry sauce, place blackberries in a bowl and toss with the clove, lemon juice, bay leaf, thyme, and sugar. 2. Melt butter in a pan and fry the shallot and mushrooms over a medium heat until softened and light golden-brown. Stir in the port and wine and carefully set alight, then add the blackberry mix and a pinch of salt. Simmer the sauce for 10 minutes, then purée in a blender or food processor. Strain the sauce through a fine sieve and set aside. 3. Rub the fat of the duck with sea salt and black pepper. Place the duck, skin side down in a frying pan and place on a medium heat. Cook for 5 minutes, until the skin is crisp and golden brown. Turn, then cook for 3 – 4 minutes. Remove from the pan and allow the duck breasts to rest for at least two minutes. 4. Bring a frying pan of salted water (just enough to cover the asparagus) to the boil, and add the trimmed asparagus. Cook for four minutes. Drain and toss in butter. 5, To serve, arrange the asparagus evenly on two boards. Slice each duck breast with a sharp knife and place on the board next to the asparagus. 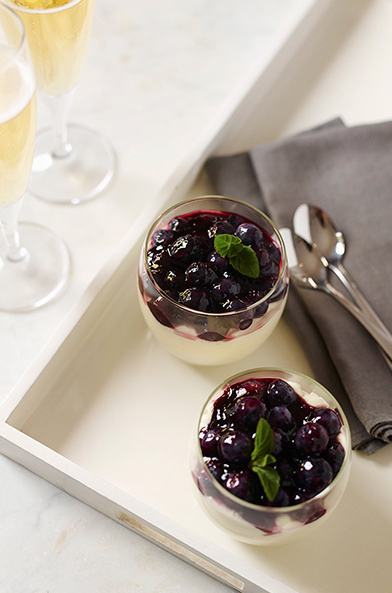 Drizzle with the blackberry sauce, and finish with fresh blackberries. We’re giving away a bottle of the good stuff over on our Facebook page for you to pair with our favourite recipes. To enter, simply visit our page, find the post pinned to the top, LIKE it and leave a COMMENT telling us what your New Year’s Resolution is, to be in with the chance of winning! The nights are drawing in and the Coca-Cola truck has been spotted on TV, which can only mean one thing: Christmas is coming! And with it, a glut of Christmas markets to enjoy! Celebrate Christmas in Usk at its traditional Christmas market, offering a weekend of live music, entertainment and stalls full of festive goodies and gifts. 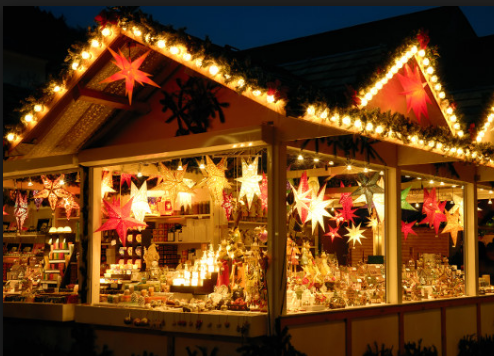 Enjoy the sound of Christmas carols, whilst slurping on a mug of mulled wine and wandering the 85 festive stalls, which are owned by some of the top producers in the area. Warm up with a bratwurst or an indulgent hot chocolate at Shrewsbury Winter Festival held in Shrewsbury Quarry Park. Pick handmade gifts for your whole family and unleash your inner creativity at one of the workshops on offer. Breathe in the smell of roasted chestnuts at the Hereford Christmas Market, and spend a couple of hours picking riches from some of the best foodie stalls on offer. Cardiff Christmas Market occupies a stunning location in the heart of the city so you can enjoy wandering around the 80 carefully-selected stalls and, surrounded by the smell of gingerbread and mulled wine. Christmas is just the most wonderful time of the year to indulge in some delicious food and drink so enjoy it all! Earlier this year, we celebrated two award wins for Castle Brook Vineyard’s 2010 Classic Cuvée, which we were thrilled about. Firstly, we secured a gold medal at the English and Welsh Wine of the Year Competition 2016 for the second year running (we’re allowed to show off aren’t we?). Secondly, three masters of wine tried and tested our Castle Brook at the 2016 Decanter awards, amongst 91 other wines and we were ‘Highly Recommended’. Since then, we’ve won four more awards and we couldn’t be more excited to share the news with you! 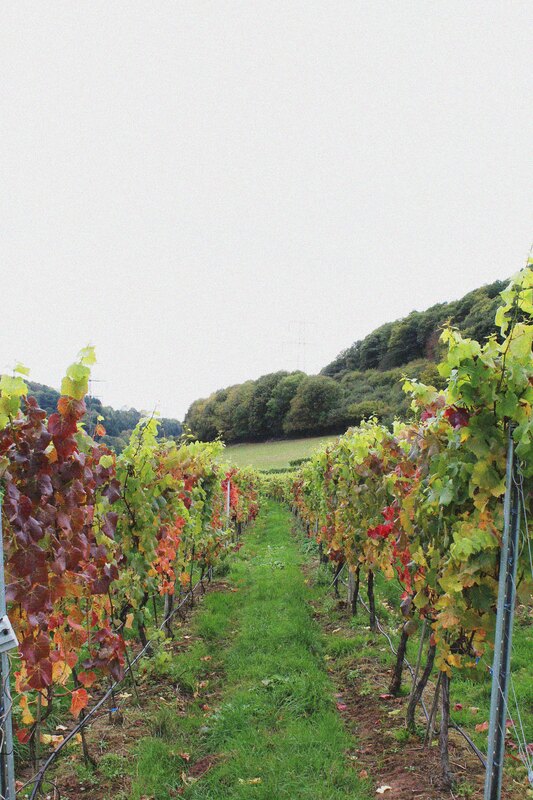 We scooped a total of three awards at the South West Vineyards Association Annual Competition. First up we won the top gold medal of the Sparkling White class, beating wines from Camel Valley, Lyme Bay Winery and Sharpham to name a few. Secondly, we won The Ray Pelfrey Cup, which meant we were the best sparkling wine from a commercial vineyard. Finally, in a taste-off against other gold medal winners and a total of 155 wines altogether, we were also awarded the South West Vineyards Association Wine of the Year trophy! Hurrah! Last but by no means least, we secured a gold medal at The Champagne and Sparkling Wine World Championships 2016! Thank you as well to all of our Castle Brook customers for all of your continued support – 2016 has been a truly fantastic year for us here at the vineyard!